Welcomed by Mr. Tek Vannara, Executive Director of NGO Forum and selfintroduction by all participants. He added the main agenda of the meeting today are the NSDP Development process road-map update by Ministry of Planning and define how we work with NGO sectors for collecting inputs on the new NSDP 2019-2023. He said that we will discuss about the Forum of partnership between government and civil society on 21 June, 2018 at ministry of Interior which invited by Ministry of Interior. The process of the meeting with MoE will be updated by Mr. Mey Nak from CCC. It will start from 7.00 am on 21 June, 2018 at MoI meeting hall. 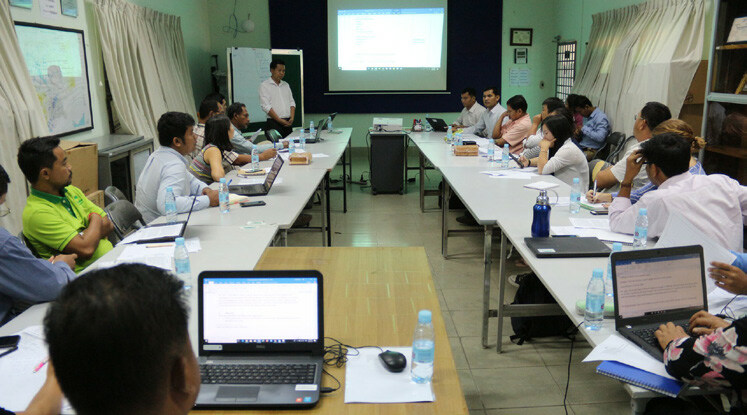 Mr. Youra, National Development Program updated the NSDP Development process road-map by Ministry of Planning. The consultation process will be done through TWG meeting by sector. According to the mid-term review report of NSDP 2014-2018 and Cambodian Sustainable Development Goal for 2016-2030. National and Sectoral Policy and strategies being implemented. For example, CCCSP, ASSDP and…etc. are the priority areas for next NSDP 2019-2023. It is the final stage of CSDG. There are 151 targets. The Outline of CSDG framework, there are 11 steps for next NSDP 2019-2023 development. It will be done through consultation process with TWGs. Ministry of Planning will final it based on the submission from all relevant line ministries and submit to council minister for approval. The deadline from line ministries inputs submission of key outline content will be on 29 June, 2018. It is a very short time. The expectation of draft NSDP will be done in October, 2018. In addition, Mr. Sun Youra presented the Proposed CSO road-map. He said that the inputs will be collected from membership organisation in next Quarterly Membership Meeting held in July, 2018. The resource person will be identified to support the NSDP desk review. We need to mobilize the resource by sector government. For example, human rights organisation focuses on justice and security. Desk review will be done by consultant. We plan to organise two sub-national and a national consultation workshops. 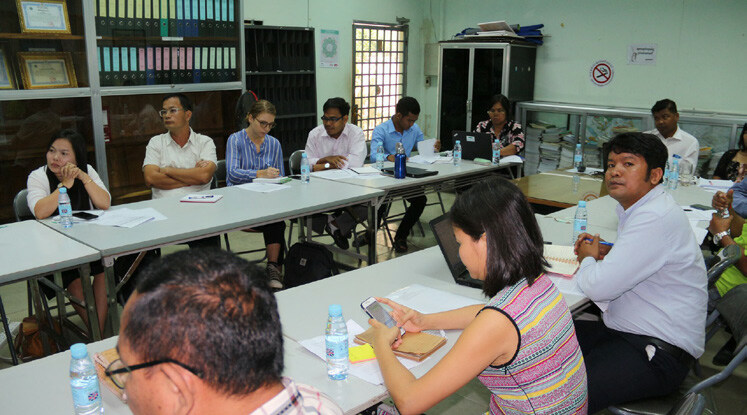 The draft report will be prepared and dialogue through each TWG for integrating CSOs inputs. Ministry of planning will accept the submission of outline content by line ministries. Mr. Savat from ADHOC had some question related to what difference from NSDP and SDG? How should we integrate trade and investment? Through your presentation, only focus by sector but not define subsector eg. Fisheries, land. It does not clear define the objective. For example, end poverty in all it forms which based on UNDAP to achieve CSDG or NSDP? Mr. Youra. Based on ministry of planning will focus on mid-term review for NSDP 2014-2018 as well as identify key challenges. CSDG 2016-2030 is part of NSDP and Key sector strategies. From now till 29 June only focus on key content. The technical team of ministry of planning will working on it. Ms. Solin from Oxfam, we should look at different channels for engage in draft con¬tent of NSDP development eg. Climate change and energy policy were developed for 10 years. Eg. We should work through TWG with line ministries. It is good to work through sector with line ministries. It would be good if we have good relationship with line ministries. Mr. Norng Sivuthan from HEKS, we should reflect our work on the current NSDP and why Ministry of planning not includes all the comments from NGO Forum rather than we continue working on next NSDP development otherwise we will vast time to work on desk review. Mr. Tek Vannara. In Technical Working Groups (TWGs), for example Climate change, Agriculture, Water and Food security presented their sector draft documents. NGO can propose content through TWG otherwise it would vest time. Some sector that not cover how can we work and provide input. They provided contact person for submission the CSO inputs. We can send general comment to ministry of planning. H.E Sok Silo will accept draft content from NDF-C on food security sector. The position paper will be developed. NEP will work with working group on education. For justice will work with ADHOC, Licadho and CLEC for binding all the CSO position paper. We will work through TWG. He added more on NGO will identify issue, challenges and achievement. It is good to propose the issues base for keeping in relevant sector. Can we identify our position and then we can identify resource. The Meeting was finished at 2.30 PM with fruitful results and clear follow-up action.